The S. Vincen Bowles company revolutionized the Refuse Industry with the introduction of the Front Load style garbage truck in 1952. An amateur photographer, Vince documented many of the trucks he made and it is my honor to present them here, many of which have not been seen in decades. 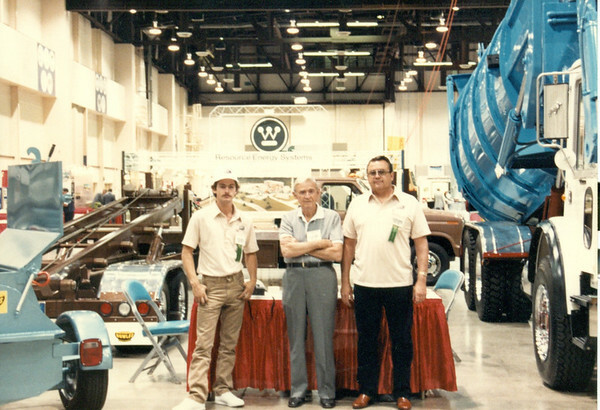 There are several thousand pictures in this collection documenting not only trucks and non-refuse equipment Vince made, but competitors’ trucks also. Please visit the Bowles Album on Classic Refuse Trucks to learn more. Check back often.I continually update this page as I make my way though scanning and archiving this massive collection!